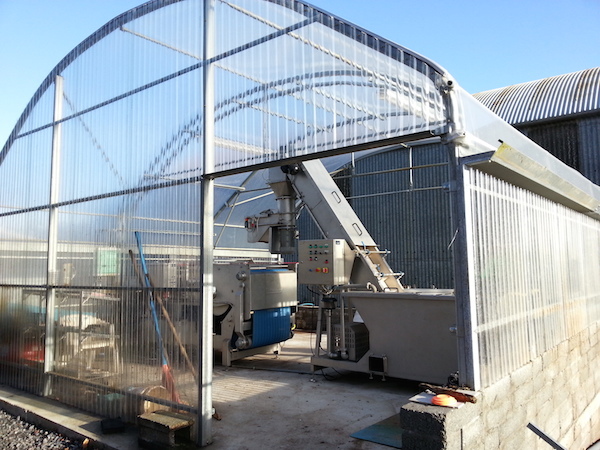 It was a crispy sunny winter morning when we started our tour to Kilkenny last Saturday. It turned out to be a ladies day. Four different women with nothing in common other than the interest in discovering what’s around the corner. Roz Kelly from EcoactiveIrelandcame all the way from Gorey, Co. Wexford to Carlow to join me on the trip. My other companions were friends who I know from line dancing and the Women in Business Network in Carlow. After arriving in Kilkennywe had time to explore the grounds of Kilkenny Castle and were amazed at the size of the park. The 50 acre (approx. 23 hectares) area is accessible for everybody and provides the ideal spot for walking, running or just relaxing. The castle itself looks more impressive once you walk through the main entrance on The Parade. And it is one of the best preserved Norman castles in Ireland. We enjoyed our guided tour with Peter Kenny who excelled in his knowledge and passion for the monument and it’s history but also the stories behind it. Interesting in connection with Carlow is that both, Kilkenny Castle and Carlow Castlewere built at about the same time by the same man: William Marshal in the 12. century. 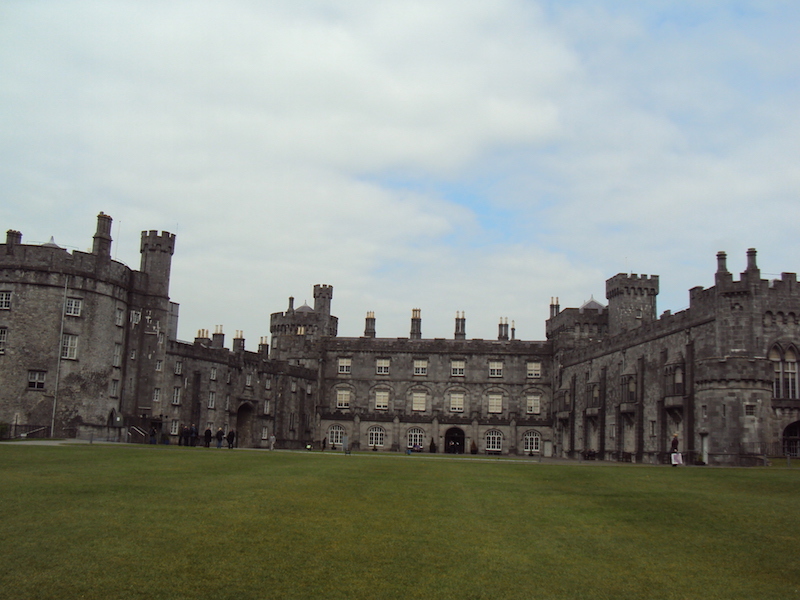 One of the trivias I remember is, that a lot of the characters and names appearing in Downton Abbeyare based on real people who had dealings with Kilkenny Castle. Also the tapestries in the ballroom are fixed to the walls with industrial velcro to avoid folds and dust on the original material. As we were not allowed to take pictures, you have to explore the interior for yourself. 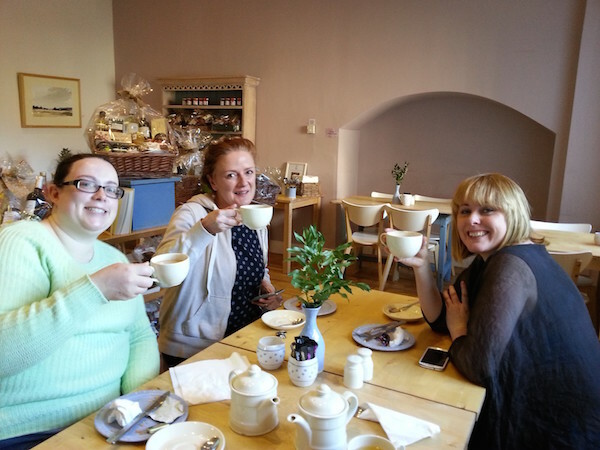 The tea room in the premises of theKilkenny Design Centrewas our next stop where we all enjoyed a nice cuppa and cake served with a smile. 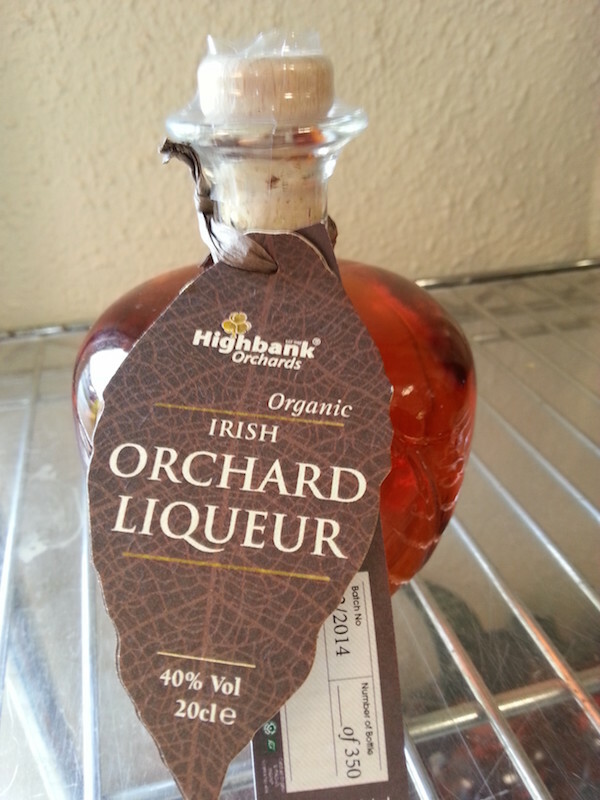 Just outside Kilkenny, on the Callan Road you will find Highbank Orchards Farm. Julie and Rod Calder-Potts are growing their apples completely organic which results in excellent cider, syrup and recently in liqueur and spirit. 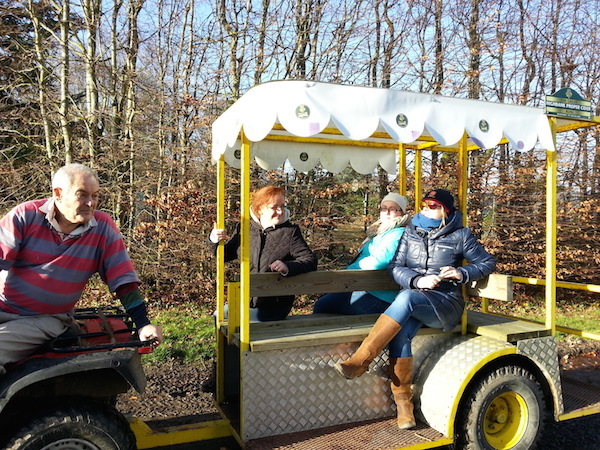 We enjoyed a tour of the farm in their train with stops at the apple jacuzzi, the press, the orchards and the shop. I found it fascinating that absolutely no chemicals are used to grow their apples and that nature looks after itself. 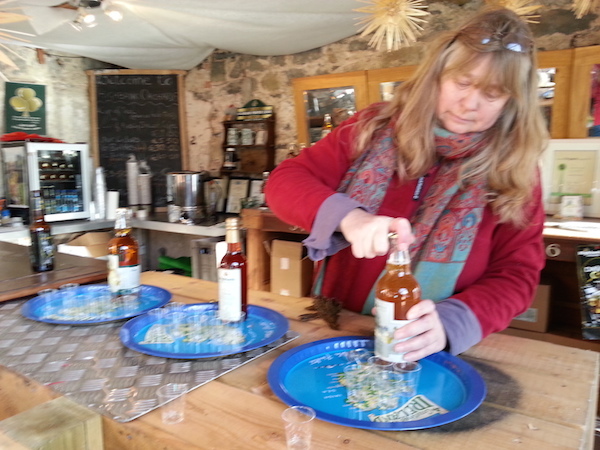 Julie offered us a taste of the different products like the Drivers Cider: sparkly and refreshing but alcohol free. 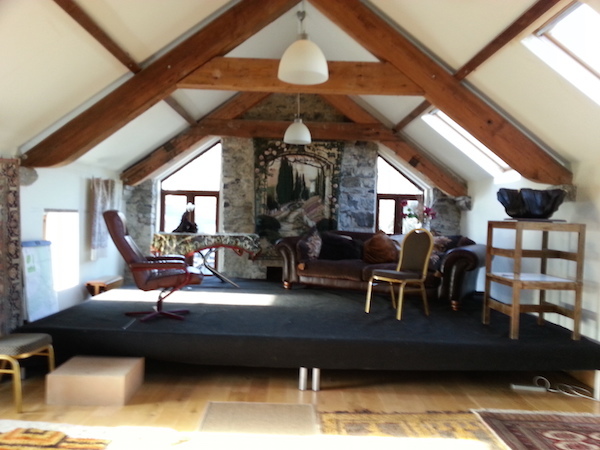 Highbank Orchards support local food producers and host a range of different events during the year in their converted barn. 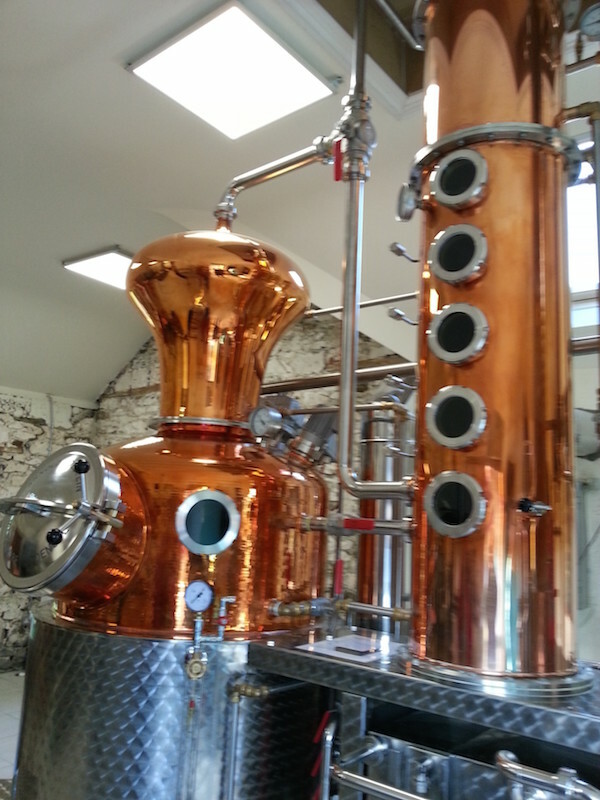 The last addition to the premises is the smallest registered distillery in Ireland. It was custom built in Germany and produces a high quality of liquor and schnapps which is bottled and labled by hand in the premises. Another lovely little detail are the apple shaped bottles which make a nice gift. I can’t wait to see this hidden gem in the springtime when the apple trees are in bloom. The small but close knit community of Leighlinbridge can be really proud of the so well maintained gardens. We enjoyed the Garden of Rememberance and the Millennium Garden. The village was the deserved winner of a gold medal in the European garden competition “Entente Florale” in 2001. Only one applicant per country is allowed to enter. 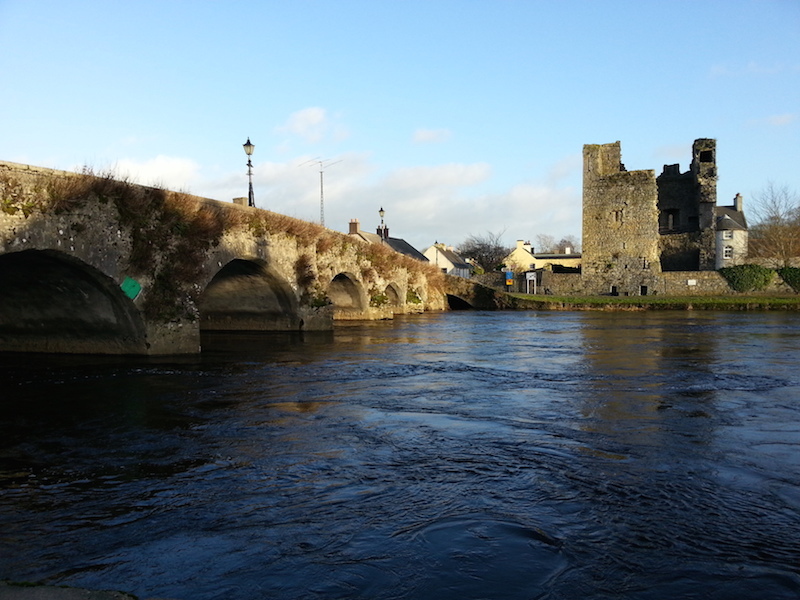 Although only small, Leighlinbridge boasts a lot of history. Built in 1320, the nine arch bridge was once the only crossing on the River and is now the oldest working bridge in Ireland, and one of the oldest in Europe. You might recognise the bridge from the recentChristmas ad for Sparwhere the Christmas tree comes floating underneath the arch. The remains of the Black Castle is still a main feature of Leighlinbridge. Originally built in 1181 by Hugh de Lacy it is one of the earliest Norman castles in Ireland and changed ownership several times. With fading sunlight and just before the hailstorm hit us we were back in the van and returned tired but happy to Carlow Town. Interested in this or similar tours?